On his first visit to his hometown Vadnagar since 2014 when he took over the top job in the country, Prime Minister Narendra Modi on Sunday paid an impromptu visit to the school he had attended. 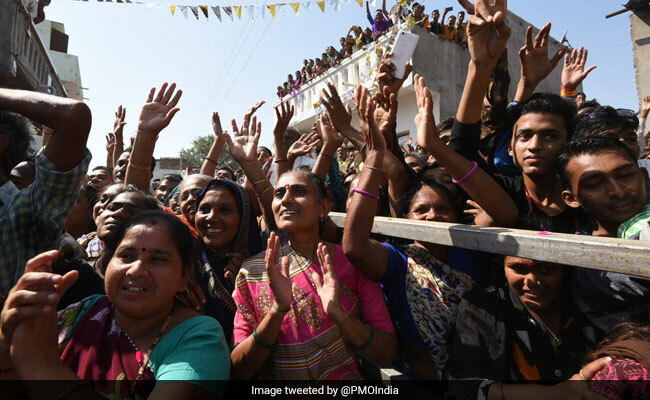 PM Modi was greeted by hundreds of people as his cavalcade of black SUVs made their way to a multi-specialty hospital, awaiting inauguration by him, in the little town barely 100 kilometres from Ahmedabad. Leaving behind his security men, he got off the black SUV, and walked to the entrance of the school. As before his entry to parliament after the election victory in 2014, he knelt at the school's threshold and bowed before entering the grounds. It was a matter of great pride that the "son of the soil" was the Prime Minister and was visiting the town after a long time, locals told reporters. "This visit will bring back several memories from my childhood," PM Modi had tweeted yesterday. It is the same town in east Gujarat where at a railway station PM Modi used to help his father sell tea when he was a child. The dilapidated tea kiosk has now been spruced up and decked up with flowers. The railway station, till a few months back, was just a small structure, but work on expanding it has started. "I started my journey from Vadnagar and now I have reached Kashi (Varanasi). Just like Vadnagar, Kashi is also the town of Bhole Baba (Lord Shiva). Bhole Baba's blessings gave me immense strength, and this strength is the biggest gift I have received from this land," PM Modi said. The town has been decorated with flags and posters of PM Modi. The hospital in Vadnagar that he is inaugurating is a Rs 400-crore six-storey project, which is also the first-of-its-kind in this town. This is the Prime Minister's third visit in less than a month to Gujarat where assembly elections are slated for the end of this year. 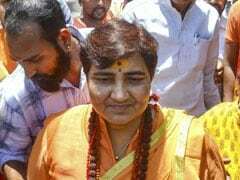 Party chief Amit Shah has set the BJP a target of 150 of the state's 182 seats.